Jess has won the 2018 Women’s Club Championship at The Lakes! 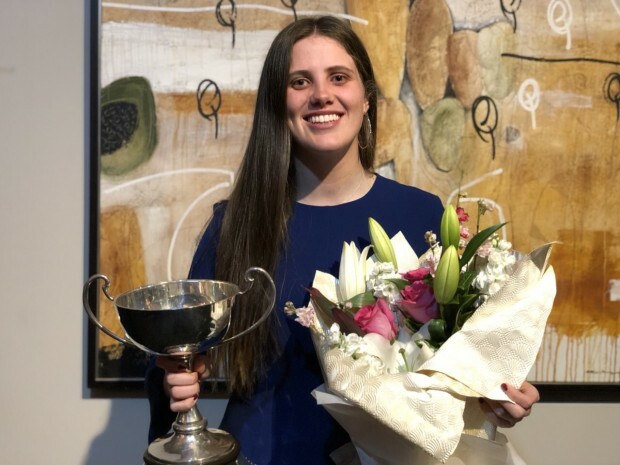 Jess has had a busy year with work and study, but made the time to play in the 2018 Lakes Women’s Club Championship. In tough, cold and windy conditions over two weekends, Jess qualified number one for the knockout stage of of the Championship. With each match, Jess lifted. Strolling to a comfortable first round win, the second round required more of her attention. After being 2 down after 9 holes, Jess lifted and took advatage of opportunities to make it into the Championship decider. The match in the final was heading towards being a tight tussle between two strong golfers in form. The match was close through 9, but a -2 back nine, including an eagle on the 14th gave Jess a strong grip on the match. The match continued with both players fighting it out until Jess prevailed winning her first Women’s Club Championhip at The Lakes. Well Done on the win…best of luck in your next event!